Aron T. Szabo – Szabo Law Group, P.A. Aron was born and raised in Budapest, Hungary. He grew up there until the age of thirteen, when he moved to the United States. He has been living in Florida ever since and has become familiar with the legal field even during his undergraduate studies. He attended Nova Southeastern University’s H. Wayne Huizenga School of Business & Entrepreneurship, where he majored in Business and obtained a minor in Marketing; Aron was placed on the Dean’s list numerous times both during his undergraduate and graduate studies for his outstanding academic achievements. After graduating college, Aron decided to go to Law School and he continued his education at Nova Southeastern University’s Shepard Broad Law Center in Fort Lauderdale, Florida where Aron obtained his Juris Doctorate (JD) Degree. In addition to being educated in Hungary, the United States, Aron also attended University of Oxford in Oxford, England; where his focus was on European Union Laws. After returning to Florida, Aron once more decided to go abroad and put his skills to use. He worked at Baker & McKenzie in Budapest, Hungary where he handled contract issues, drafted appellate briefs, researched and wrote about jurisdictional issues, researched EU antitrust laws, and has researched and analyzed payment on International Sale of Goods (CISG), bankruptcy laws as well as a numerous other kinds of European Laws and compared them to American laws. After leaving Baker & McKenzie, Aron opened his own Law Firm, the Szabo Law Group, P.A., in order to support clients in need of legal help. Unfortunately the legal system is not always fair and it can be very complicated, however a client’s odds of a successful result can dramatically increase by hiring the right attorney. At the Szabo Law Group we cannot guarantee a certain outcome, but what we can promise is our best faith effort to attain the best possible outcome for our Client’s situation. Furthermore, we guarantee personal service and that our Clients are treated with the highest respect and professionalism in the industry. 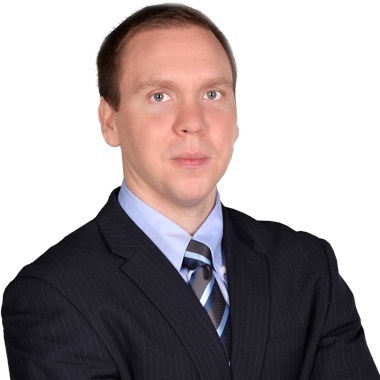 Aron is a member of the Florida and District of Columbia Bar and is fully bilingual in spoken and written Hungarian.